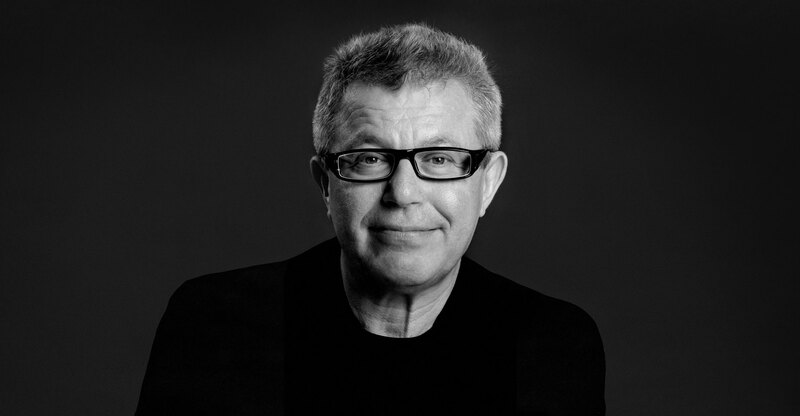 Mr. Libeskind, Goethe compared architecture to frozen music and said that “the tone of mind produced by architecture approaches the effect of music.” Do you agree? Oh, absolutely! Architecture is not just an intellectual or abstract exercise, it is an emotional experience just as music is. It is very precise, it cannot be off by one half of a vibration because everyone would know that it doesn’t sound right. It has to communicate to the soul and everybody has to share it in a deep emotional way. It is always about a performance and what happens after the performance. When you leave a building, it is like leaving a piece of music. It is still in you and still with you. So yes, I think these two are very closely linked in my experience. Did your history as a virtuoso musician somehow help lead you into architecture? I don’t think I would be doing architecture if I hadn’t been a musician in a former lifetime. You have to be able to create a series of drawings just like a musical score, you have to orchestrate it, you have to be able to communicate it, to conduct it. Even though I gave up performing music, I never gave up music at all because as an architect, what do you do? You have to first of all listen to a place, you have to listen to the sound of a place, you have to get into the vibrations of the world, of the unique moment. I don’t think I’ve given up music, I’ve just changed the instrument! You are active all over the world – in Germany, Italy, Belgium, Brazil, Canada, Poland, France, the UK, China, Korea, the Philippines, and the United States to name a few. Does that diversity make it more difficult to “get into the vibrations” of a place? Oddly enough, the stranger is often a person who can see and understand the context much better than a person who has lived there for a thousand years. The “other” can sometimes penetrate through a place and get to know it in a way which is kind of unbiased and without the huge weight of convention. How important is it for you to understand the context surrounding a building – the street, the neighborhood, the city, the country? Very important. You can’t build anything meaningful if you don’t understand the context in depth. The context is extremely important, but the real context is not always apparent – very often it is forgotten and hardly visible: the history of a place, the traditions of a place. I have been lucky to not just work around the world, but to have lived around the world too, and not just as a tourist. So it is actually very important to me to see the connection between the building and the genius loci of the place. Also, the human soul is universal wherever you go, across religion, across ethnicities, across continents. We are all connected. That is the beautiful thing about architecture. Architecture is also an ancient practice. Do you think it has changed significantly with the advent of modern technology? Of course with modern technology, with communications, we can do things that have never even been dreamed of before. But don’t overestimate technology. At the end, no matter how much technology we have, we will still want to have the real experience because we have a body. We are not just minds, we are carnal, we are incarnated, it is a visceral experience, so architecture will always play an incredibly important role in this primordial sense of light, of weight, of transcendence, of hope, of dreams. Would you ever design a church or a synagogue? You know in fact I designed a synagogue that didn’t get built and I designed a mosque that didn’t get built. Those are really amazing programs because they deal with something that is the most difficult thing – to present an experience of divinity. In a way every building aspires to do that anyway. Whatever they say about the secular, about the sky and the earth, we long for something that isn’t just the question of causality, but answers why we are doing it. So yes, I would certainly love to design one day a church, or a synagogue, or a mosque. 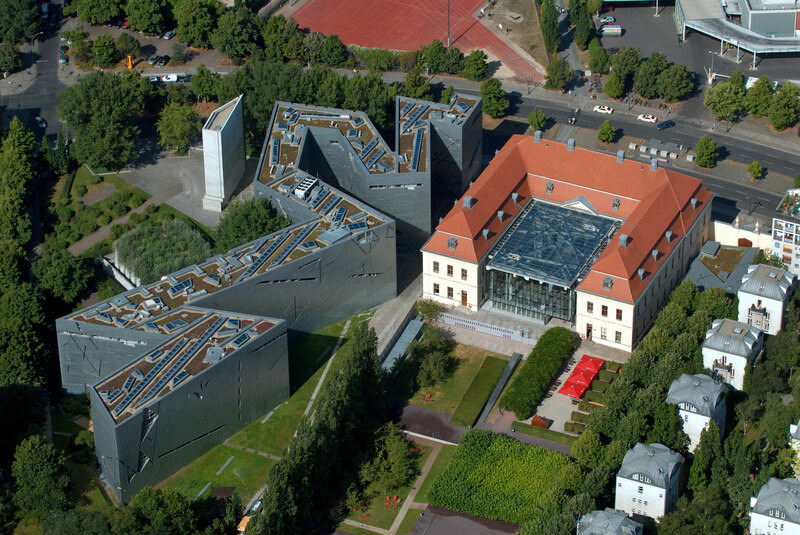 You have created a lot of buildings laden with meaning – the Jewish Museum in Berlin and the master plan for Ground Zero in New York being the two best known. Is it important for your projects to have such profound symbolism? I do lots of very prosaic programs too – shopping centers, houses, housing projects, offices, educational buildings – but somehow it was my fate that I started with the Jewish Museum, that was my first project, and then, more than a decade later, I won the competition for Ground Zero. These are projects that are for me the most complex because they deal with such a moment of importance that cannot just be reduced to a roof and some walls and some windows. But every project that I do has a poetic element, so everything has a dimension of meaning that has to be addressed in my view. How did you have the confidence to take on a project as ambitious as the Jewish Museum as your first project? Many people overestimate the notion of experience, that you have to work and work and work and then you can do something. I was an architect, but I chose a different path. I didn’t apprentice myself to an office, I didn’t like that path, so I tried to forge another path. Gaining experience is good, but it is also an obstacle because in some ways you have to forget what you know. You have to cease being an expert in order to do something new and something good. The Jewish Museum was completed when you were already over 50 years old. Before that were you frustrated to be teaching architecture rather than actually building things? No, it was a privileged existence to be a teacher. And I wasn’t just talking – I was drawing, I was building models. You know, you have to have a path, pursue a path. I never had a goal. Many people think you should have a goal and then go for it and get to the goal. I think it is much better not to have a goal, but rather to have a path. Taking the path is very vulnerable and threatened by being pulled to the left or to the right, but if you stay on this thin and narrow, straight path, something of an adventure, something of meaning will happen to you. That is how I pursued my path. Follow the things you love! Follow the things that you are intensely passionate about. Follow the things that you like to do, which often to others might seem unimportant. When I was doing my series of drawings, that is how I really developed my architecture. Maybe they seemed abstract to people, maybe they seemed crazy, but to me they were architecture at the time. And they are still architecture, because I still use those drawings in my current work. Drawing was a path. What does it feel like to walk through a building that began as a dream in your mind? It’s literally like a dream coming true. The dream is on your desk, and you develop it through drawings and models, and then suddenly it happens and you are walking through a building or even through a whole neighborhood that you built. It is something unprecedented because you can’t simulate a dream and then make it reality. That doesn’t work. You have to develop the dream! It is an amazing thing. It is something that is hard to put into words because you go from such a delicate thing like some lines on paper to something that is very large and important, like a civic space. It sounds like you don’t have a problem finding inspiration. No, if you have a problem with inspiration you shouldn’t be an architect! You should be a technician. Architecture is a fantastic art because it allows you to be inspired by everything from science and mathematics to the most ineffable senses of light and sound. It is one of the spectral fields that covers the full range of human desires, emotions, and weaknesses. I was just in Paris and one of the buildings I always think about is the Eiffel Tower. When it was first built, all the great writers like Baudelaire, Dumas, Maupassant, all the great musicians like Gounod, and all the great philosophers wrote a petition against it to tear it down. They said, “We hate this building! It is marring the beauty of Paris.” And yet it is the most fantastic building because it has no real function, it has no apparent origin, but it created the idea of Paris itself. To me that is one of the symbols of greatness: a building that at the beginning nobody liked, that everybody thought was a folly, and yet in the long run it created the entire mythology of one of the great cities of the world. Do you ever worry about your buildings becoming dated as they age? No, I think only what is dated can be great. Things that are not dated will never be great. That is why we have the Renaissance, we have Baroque, we have Ancient Chinese architecture, we have Modern. If it has no date, it is a generic product. But architecture does have a date. It comes out of the spirit of the times, call it the Weltanschauung, it is inspired by that reality. So yes, of course you have to do something that has a date and transcends that date as well, but anything that is not dated is, I believe, not architecture; it is simply construction. It is something totally different, bland and faceless. I think it communicates the richness of culture. Despite the fact that it has a lot to do with technology and with engineering, it is a central cultural field. When you do a building you are also communicating a story, you are telling something, and I often say even the most banal building tells you something – it tells you that there is nothing to tell you! But architecture is an art of communication and it is an art of culture and it is an art of the intellect, it is poetry, it is music.